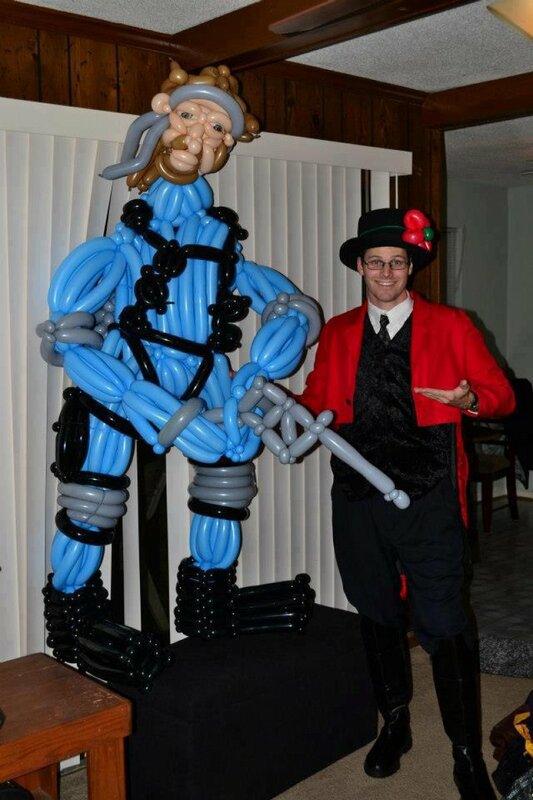 It's been a while since we've had this kind of an it-shops-itself exploitable: Solid Snake made out of balloons, with a mesmerizing stare that could be made to express any emotion or fit any situation. Some folks already got a head start on this when Tina posted the image on Friday. We'll let everyone else take a swing at it in this week's Shop Contest. Because he is made out of balloons, by Bruce Carr. And he looks like he is begging you to kill him. 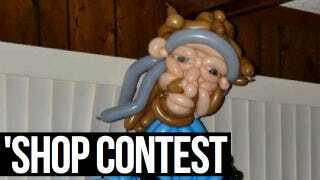 Source Image: Balloon Solid Snake. Instructions? Simple, take that, make it funnier. Here's everything you need to know about posting images in the comments.